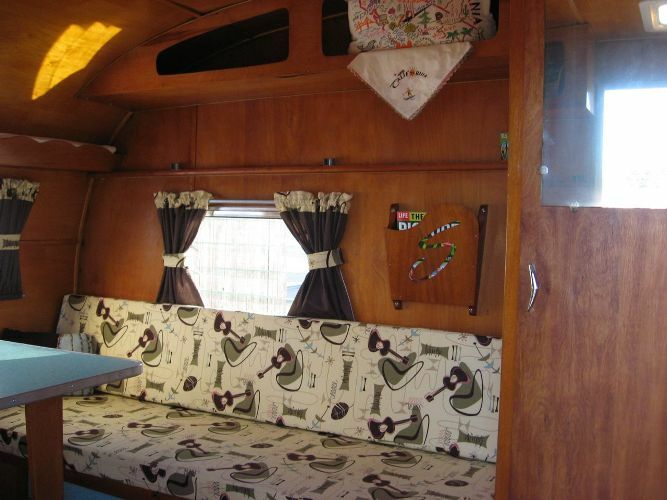 Every camper restoration is inspirational, but check out this next beauty that was 95% restored by a 55 year old Grandmother! I think she did an amazing job!! Love it!! After much research the owner settled on finding a 1964 Shasta Compact with birch interior. 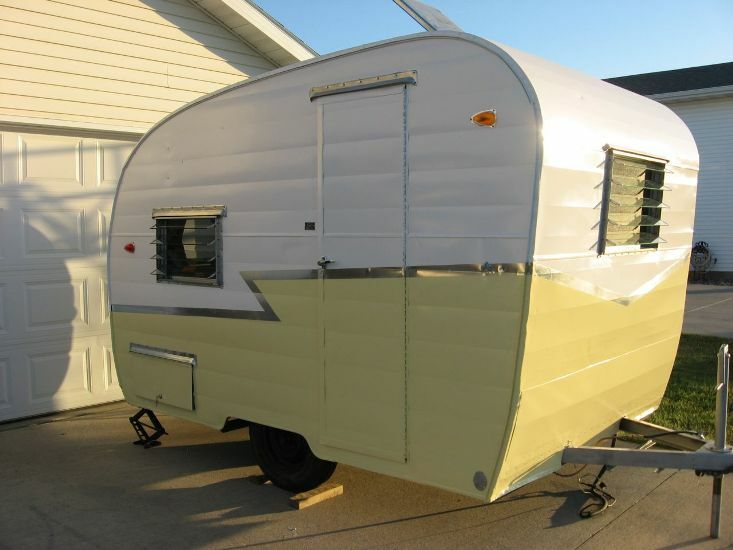 They are one of the lightest vintage trailers and that was important for towing with her SUV. They drove from Minnesota all the way to Michigan to pick this baby up! Look at her before….. 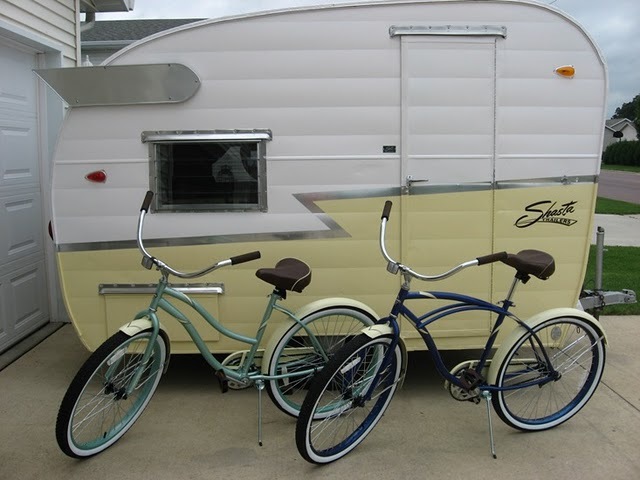 They purchased their camper last summer…. since then she was given some new birch, new laminate, new sub floor and tile, new cushions, curtains, a ton of polishing of aluminum, made the wings and gave her an exterior paint job!! How cute! 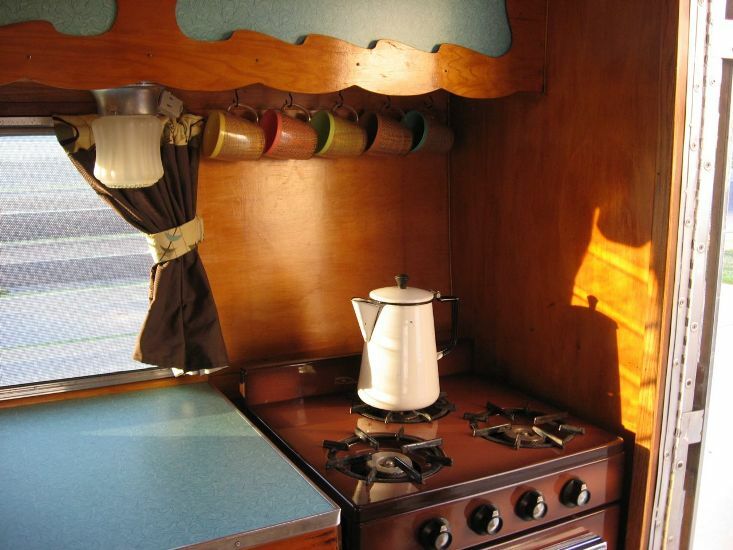 I love the fabric sink curtain and how she has the coffee mugs on hooks behind the stovetop! Thank you so much to the owners. If you would like more complete details of their restoration click here. Absolutely precious….love this one! After seeing this, I'd love a yellow OR turquoise camper! 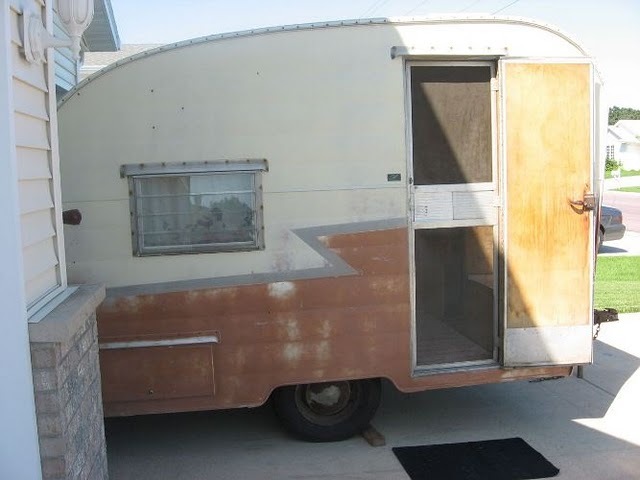 I REALLY want a vintage camper. We don't have much $$ but my husband has some skills to redo one that is pretty beat up! Any suggestions how to find one? Or posts on what to look for when LOOKING for one? This is a great blog. I'll be returning till I find a camper and then ONE day may post our own re-do! Thank you all for your comments…. 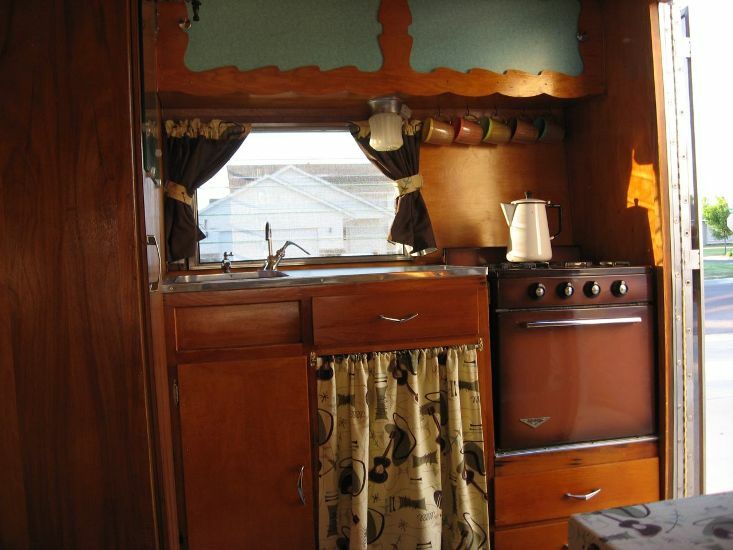 the owners of this adorable camper did an amazing job!! Rebecca, I will be doing a post with info for you very soon. Next post: Cute Red camper and vintage mobile.